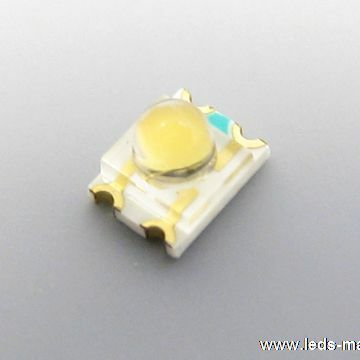 ﻿ Produce 1.60mm Round Subminiature 1206 Reverse Package Green Chip LED , Export Mono Color,1209 Reverse Package With 1.80 Round Suminiature， 3.20X2.40X2.50mm, Supply 1.60mm Round Subminiature 1206 Reverse Package Green Chip LED suppliers, OEM Mono Color,1209 Reverse Package With 1.80 Round Suminiature， 3.20X2.40X2.50mm. ◇ Package in 8mm tape on 7” diameter reel. ◇ Compatible with automatic placement equipment. ◇ Compatible with infrared and vapor phase reflow solder process. ◇ The product itself will remain within RoHS compliant Version. ◇ Besides, lightweight makes them ideal for miniature applications .etc. ◇ Automotive: Backlighting in dashboard and switch. ◇ Telecommunication: Indicator and backlighting in telephone and fax. ◇ Flat backlight for LCD, switch and symbol.